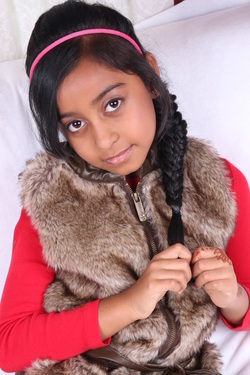 Eliza is 10 years old and is a beautiful and intriguing mix of Guyanese, Turkish and Surinamese. Brooklyn born and currently living and attending school in Queens, Eliza loves to dance and is training in ballet, tap, hip-hop and Bollywood dance. Eliza began modeling at the tender age of 6 in the fashion show portion of a pageant which led to her interest and participation in pageants and within the span of a year she won the titles of American Nation East coast petite princess, Little Miss New York American beauty as well as photogenic supreme. Eliza's recent achievements include becoming Little Miss American beauty in Florida, being honored as East Coast Child Actors Top Model and most notably winning the Zoii award which was her biggest achievement to date having competed against 74 kids to emerge as the winner. 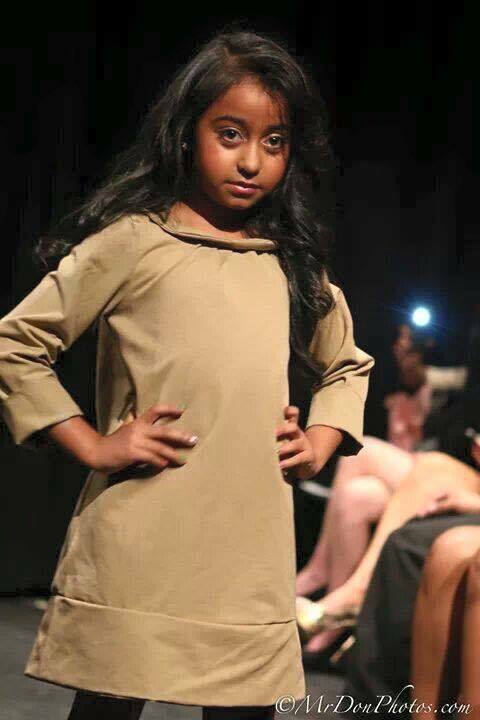 Eliza has modeled in fashion shows such as Fashion on the Hudson, Golden Magazine fashion show, Just 4 U Kid’s Expo and John Ashford and has also walked the runway of Plitz New York fashion week, Connecticut fashion week and Heartlands New Year’s eve fashion show. At 7, Eliza is the youngest recipient of the esteemed NYC fashion award and has also been featured in several magazines including Fashion Ave news, Alize LaVie and Big City kids. Eliza has also graced the inside cover of Just kids magazine and is the model of the month of June 2013 in Child Couture Magazine. Eliza is extremely devoted to giving back to her community evidenced by her donation of toys to the children’s hospital and dancing for the St Jude’s charity fundraiser. Eliza is also passionate about using her platform to show girls that beauty is on the inside and to help fight bullying. Being a victim of bullying herself; she wants to help kids in realizing that they should" never let anyone change who you are because who you are is beautiful". And most importantly "to never to give up on your dreams because absolutely anything is possible".